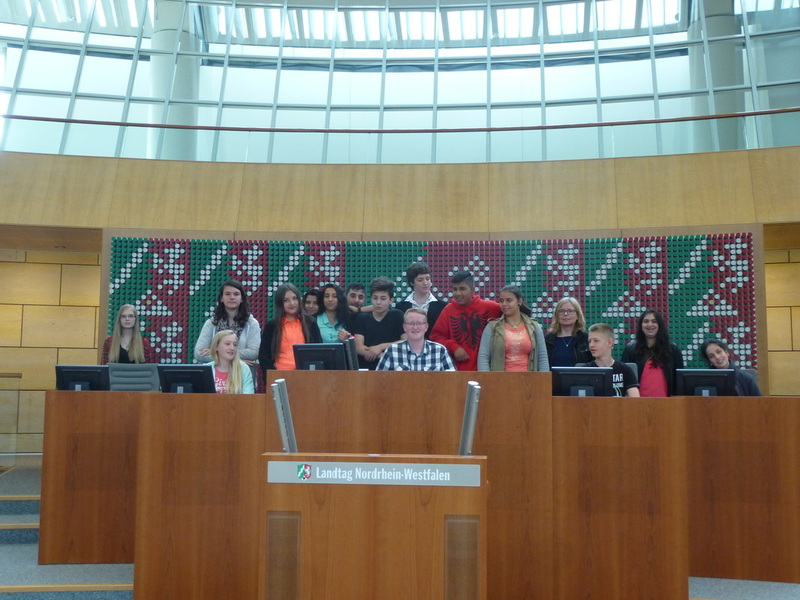 The “Landtag” is the parliament of Northrhine-Westfalia. Northrhine-Westfalia is one of 16 federal states of the Republic of Germany. We were allowed to take the seats of the members of parliament and ministers and made a role-playing game to learn how laws are made. A guide explained the work of the parliament. You can compare it to a football match. The plenary hall with all the members of parliament is the field. The parties are the teams and the members of parliament are the players. They were elected for 5 years. The election is their qualification. The referee is Frau Gödecke the president of parliament “Landtagspräsidentin”. Sometime later we discussed with Wibke Brems a member of parliament. She is 34 years old and an engineer. She told us about her work as a member of parliament. She is engaged in ecology and climate protection. 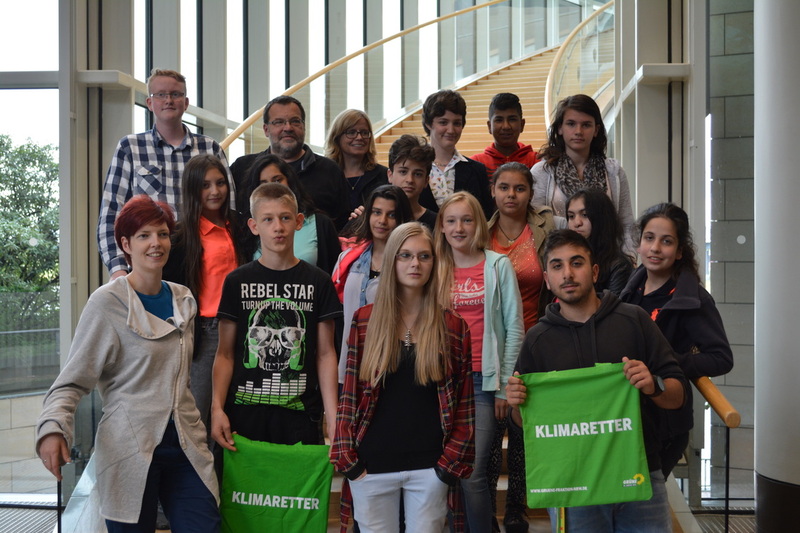 The Ernst-Hansen-Schule is part of a program that strives to reduce energy in schools. 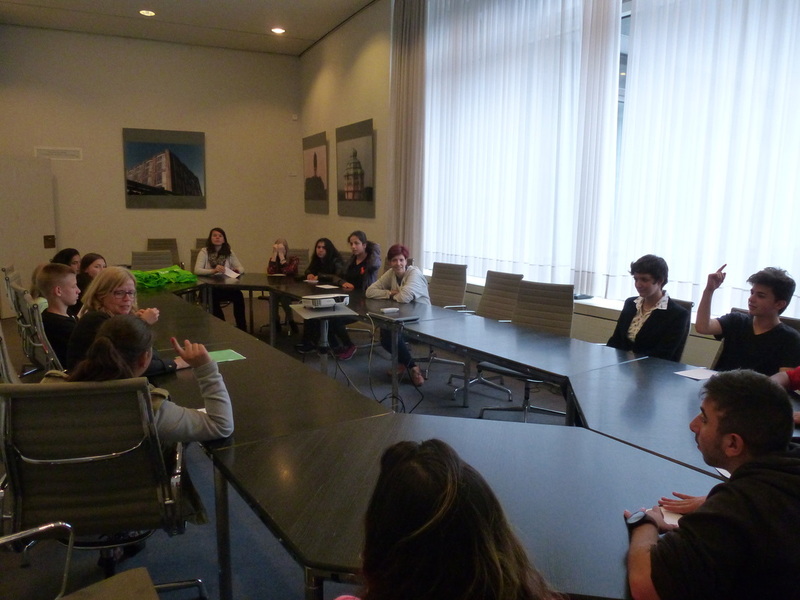 Each year a few students of our school are chosen to be the representative “Energy-Detectives“. Together we learn a lot about room climate, room temperature, main energy consumers and how to air a room properly. 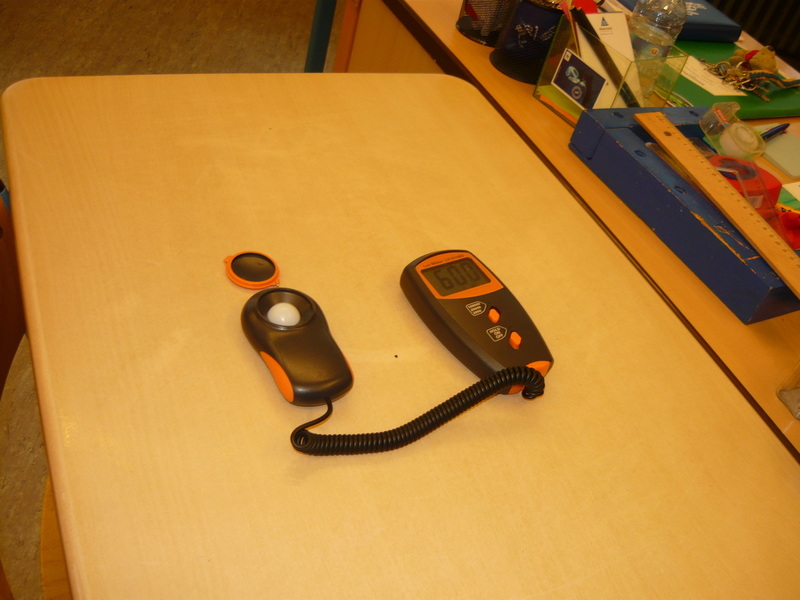 We have a few measuring instruments, that help us to find out what is going on in a room. We can measure the light in the room to see whether we run an adequate room illumination. 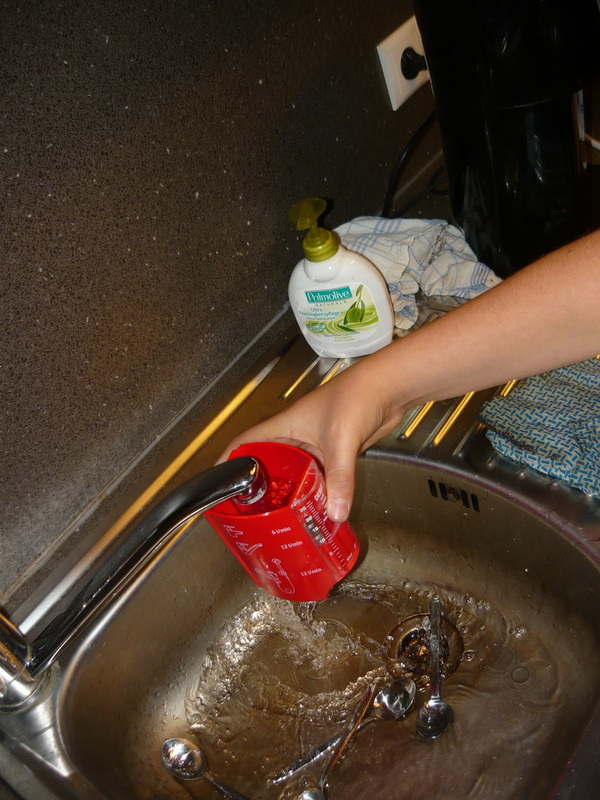 We can also measure the amount of water coming from the tap. Our „CO2- light” can measure the CO2 concentration in the air and shows us thereby when it is time to air the room. In that year we go through the classrooms and introduce students to ways of thoughtful energy consumption. ​Therefor we demonstrate our devices. A small woοden model of a room with two glass walls helps us to illustrate the effect that inrush airing has got on the CO2 concentration in a room. We document our work and send it in. We can win a reward of 400 Euros for new instruments and a treat for our hard work.